This week Dan Whitson of Piqua contacted me regarding a book he had just read. It is a story about an event which took place during World War II, but what caught his attention was a brief reference to Troy, Ohio, and he wondered if we could solve the mystery. Here is an overview of what we were able to discover. David Metcalf and Marion Morton both lived in Troy in the 1940s. They were both married and working in Troy. It is plausible that in a town of just under 10,000 that the men knew each other, but the similarity seemingly ended there. Yet, both men are forever united in the worst disaster in U.S. Naval history. David William Metcalf was born June 24, 1915 in Vinton, Gallia County, Ohio. He and his lady love Esther Welker, also of Gallia County, were married in 1938 and, within 2 years, moved to Troy, where he was a sixth grade teacher at Concord Elementary School. He was employed by the Hobart Brothers Company at the time of his enlistment in the spring of 1943. Marion Ellis Morton was born in Miami County, on July 5, 1915, and grew up on Peters Pike, between Monroe-Concord Road and the West Milton Pike (now State Route 571). He married a New Carlisle girl by the name of Aeileen Lehman on March 14, 1940. Marion worked at the Troy A&P Grocery as a meat cutter prior to the war. David Metcalf and Marion Morton were living their respective lives as any other young working man in the 1940s when they entered the Navy. Following training, both men were assigned to the U.S.S. Indianapolis and its operation in the Pacific Ocean. The U.S.S. Indianapolis, a Portland Class ship, which was originally designated a light cruiser and later reclassified as a heavy cruiser, was commissioned in November 1932. During the war, the Indianapolis and her crew participated in numerous actions in the Pacific theater of the war, including providing some of the cover bombardment for the landing at Iwo Jima and pre-invasion cover at Okinawa. Following those engagements, the U.S.S. 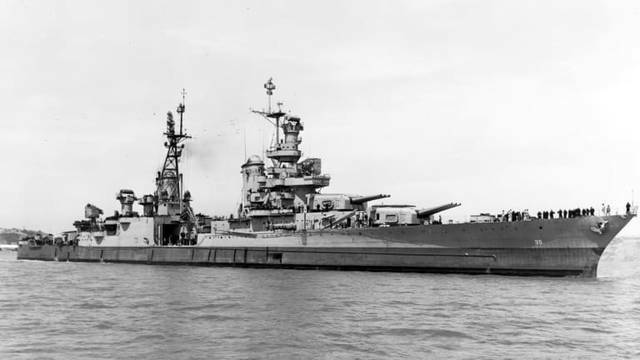 Indianapolis received repairs and an overhaul, prior to being sent on a secret mission in July 1945. Following the completion of that assignment, the heavy cruiser and crew was set to make her way to Okinawa. At 15 minutes past midnight on July 30, 1945, the U.S.S. Indianapolis was hit by two torpedoes from a Japanese I-58 submarine and it quickly sank. Over 300 men went down with the ship and others died as a result of exposure, lack of food and fresh water, and even shark attacks. It was not known for three and a half days that the ship had gone down and it was amazing that the majority of the crew even survived. Sadly, on Tuesday, Sept. 18, 1945, the families of Metcalf and Morton received official notice that after the rescue, the identification of survivors and investigation into the circumstances, that the men were missing in action, with little hope for survival. In other words, the U.S. Navy declared these two men as deceased. David Metcalf’s widow, who was living in Gallia County with her parents during her husband’s absence, remained there and did not remarry. She died in 1996. There is a gravestone in the Vinton Memorial Cemetery, which contains the name of her beloved husband, as well as her own. Aeileen Morton, having a 2-year-old son at the time of her husband’s death, married Paul F. Irvin in 1952 and continued to live in Troy until their later years. Aeileen died in 2002 and Paul in 2004 in Huber Heights, Ohio. Aeileen is interred in Riverside Cemetery, Troy. Marion and Aeileen’s little boy grew up, became a doctor and, at the time of his step-father’s death, was living in Virginia with his wife. These two residents of Miami County, through their service on the U.S.S. Indianapolis, are two of the “silent heroes” of the war, and played a part in restoring freedom, securing victory, and the end of the war. 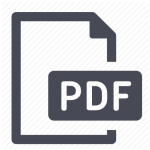 If you are interested in reading more about the U.S.S. Indianapolis and its part in World War II, including its secret mission, it’s tragic sinking, and the aftermath, then the Troy-Miami County Public Library www.troypubliclibrary.org and several other area libraries have copies of the new book Indianapolis (July 2018) by Lynn Vincent and Sarah Vladic.